Ready to use by just placing a smartphone on it. No more Bluetooth “pairing” time wasted. It is possible to measure the distance the direction to the tag accurately. It displays horizontal and vertical distance, direction and exact position. But AsTagFinder does not lose sight of the tag’s position, even at long distances. AsTagFinder can search, map and locate multiple tags at the same time. Easy to connect to a PC and/or smartphone via USB. It can be used to enter data into Excel, Notes and web-based data processing just as if coming from a keyboard. 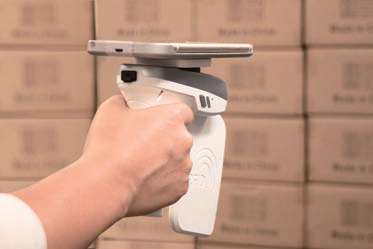 This single device is capable of reading/writing RFID and scanning 1D/2D barcodes. This single sled/dock can fit all iOS devices from iPhone 5/5s/SE to 6/6s/6 Plus/ 6s Plus to the 7/7Plus, up to and including the iPad mini 1/2/3 and iPad Air2 and the Pro 9.7. Simply change the outer case to use this single sled with all of these devices. 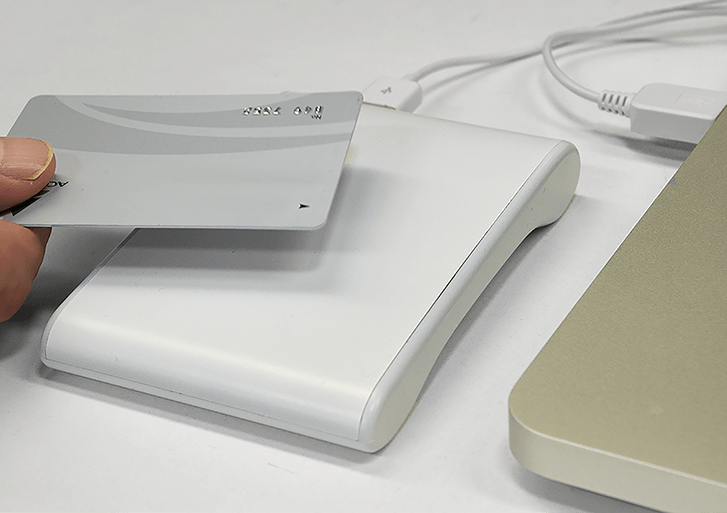 Just attach AsReader® to an iPhone®, iPad®/iPod touch® and the combination becomes a powerful handheld-terminal that can still utilize all of the functionality of the smart device.